Researching jackhammer reviews to help you decide which one to buy? it can be difficult with jackhammers as there are hundreds if not thousands of types to choose from. That’s why we compared several of the best jackhammers and narrowed it down to the top 3. The XtremepowerUS jackhammer is a handy tool for both the weekend DIY buff to those who need a lot of power for their masonry projects. You can use this on concrete, masonry, slabs, bricks and other surfaces without exerting too much force. It’s also got a nice balance of power and ease of use. Performance wise, the jackhammer is also reliable. 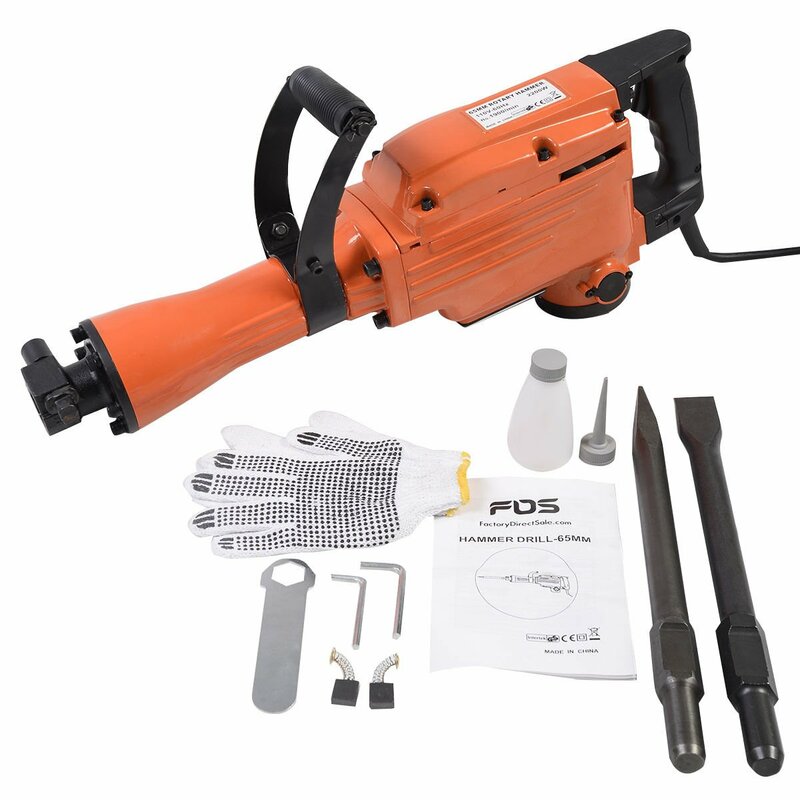 Additional Info: If you are looking for an upgraded, bad-boy version of this jack hammer, then check out the XtremepowerUS 3600Watt Heavy Duty Electric Demolition Jack hammer Concrete Breaker as well. It offers a lot more power at a reasonable price! The TR89100 can do up to 1,800 blows per minute. The TR Industrialis a durable jackhammer and aimed at users who need more than average power. With 1,800 BPM, there’s enough power here to smash through concrete floors, clay and other materials. For all its power, the TR is still portable, and the inclusion of gloves, goggles, spade/flat/hex chisels is a nice addition. Basically, all the accessories you need are included here so you can get started on your project without the need to buy other tools and equipment. The Goplus 2200 comes with a top no-load speed of 1,900 RPM. Its motor goes up to 2200 watts. The GoPlus is an all-round jackhammer suitable for those looking for a portable jackhammer. It requires some effort to use, but overall the GoPlus is high quality and suitable for home improvement projects. 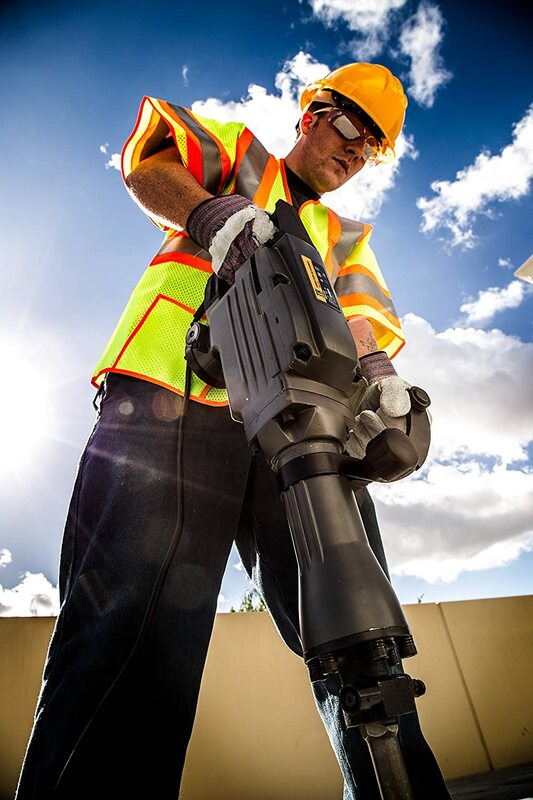 For asphalt, bricks, mortar, concrete and more, the GoPlus jackhammer is ideal. There are a lot more powerful jackhammers on the market, but for a lot of people, the Goplus has the specs to get it done. Aside from reviewing each jackhammer, we also did some comparisons among the three so you will have an easier time deciding which one to get. Each of these jackhammers has its own unique features that make it stand out, as should be clear from the reviews. If you’re looking for the perfect balance between cost, power, efficiency and ease of use, the XtremepowerUS 2200 jackhammer is your best option. 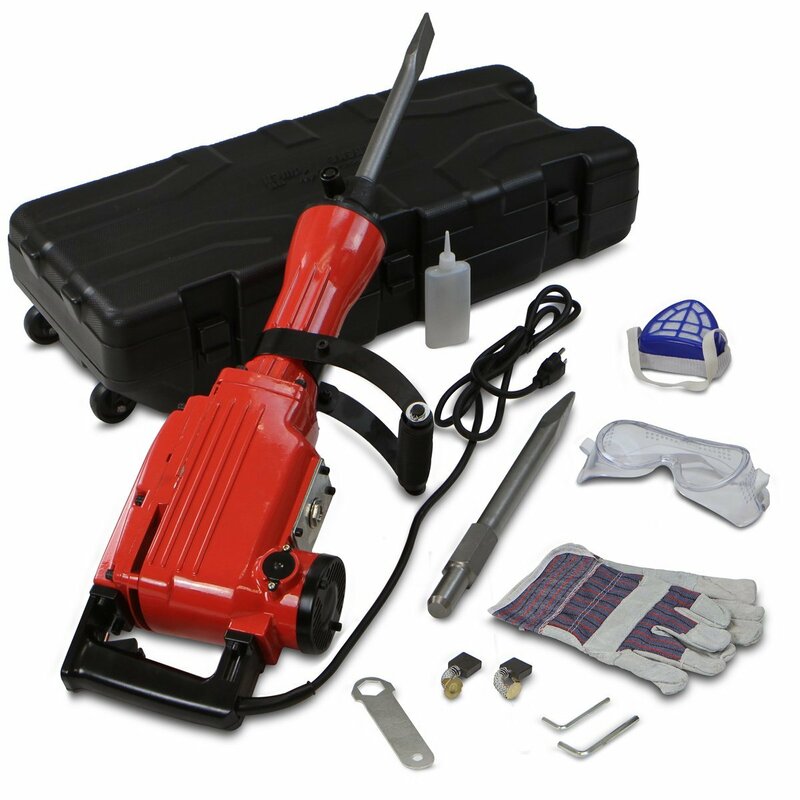 It has the power to break through concrete and other materials in DIY projects and masonry work. The inclusion of useful accessories also makes it a practical, cost-effective tool. If you’re after a heavy-duty jackhammer with a lot of versatility, the TR89100 is ideal. With 1,800 blows per minute and 176-hour TUV testing, this is the jackhammer for those who need more power. The TR89100 is not only powerful, but also certified safe. With 33 ft./lb. impact and 3 chisels included, it’s for power use. If you want a jackhammer that is comfortable to hold, and is still easy to use, the GoPlus jackhammer is suitable. You will find this one useful for business and home use. The Goplus doesn’t have a variable speed, but if that’s not an issue with you the Goplus will be fine. Jackhammers provide a lot of benefits and are indispensable for home improvement and other projects. Any one of these three jackhammers can get the job done so you’ll be able to get more work done in less time.